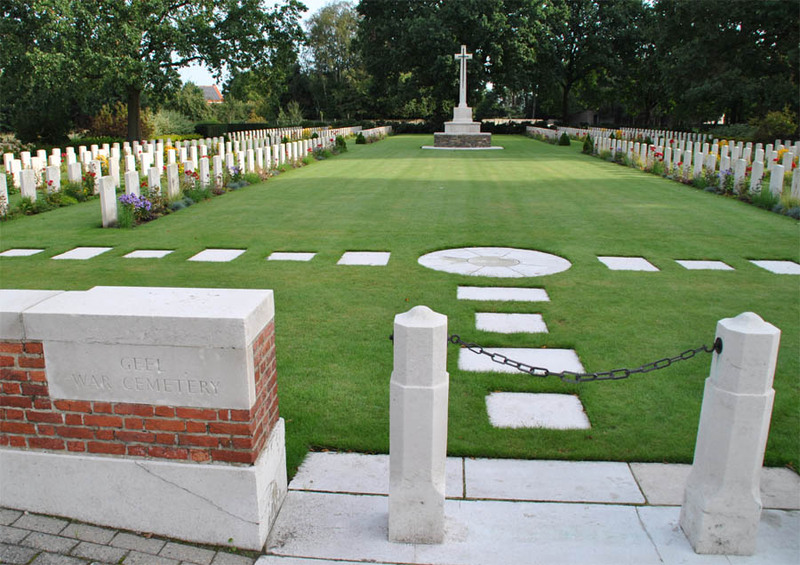 The Geel War Cemetery is located in the eastern part of the town of Geel. The cemetery contains 400 Commonwealth burials of the Second World War. The graves are mainly from the battles in late 1944 to liberate Belgium and Holland, but some graves are from May 1940 where the British Expeditionary Force were covering the withdrawal to Dunkirk. 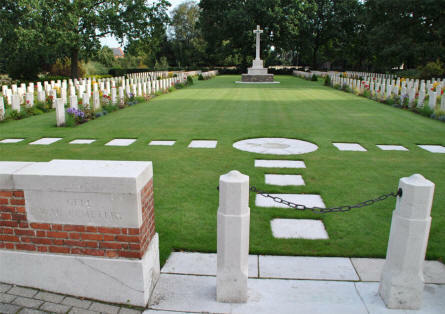 The entrance to the Geel War Cemetery. 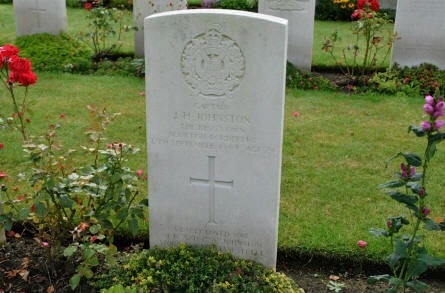 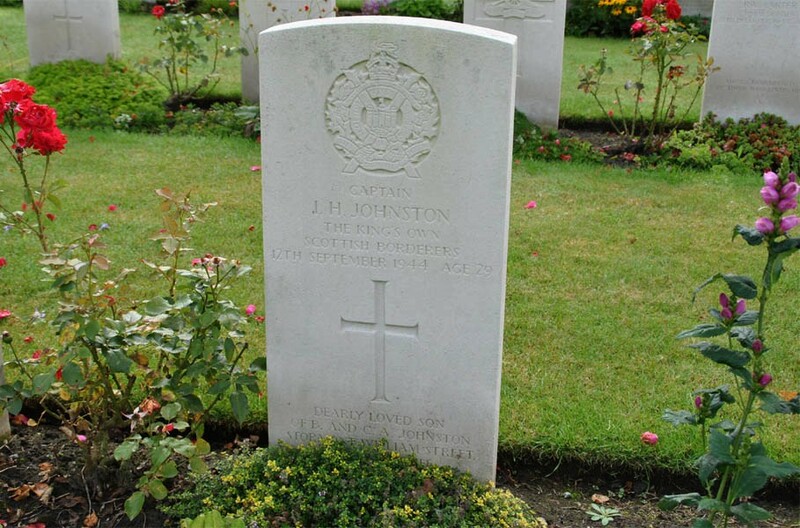 The grave of Captain J. H. Johnston (killed in September 1944) at the Geel War Cemetery. 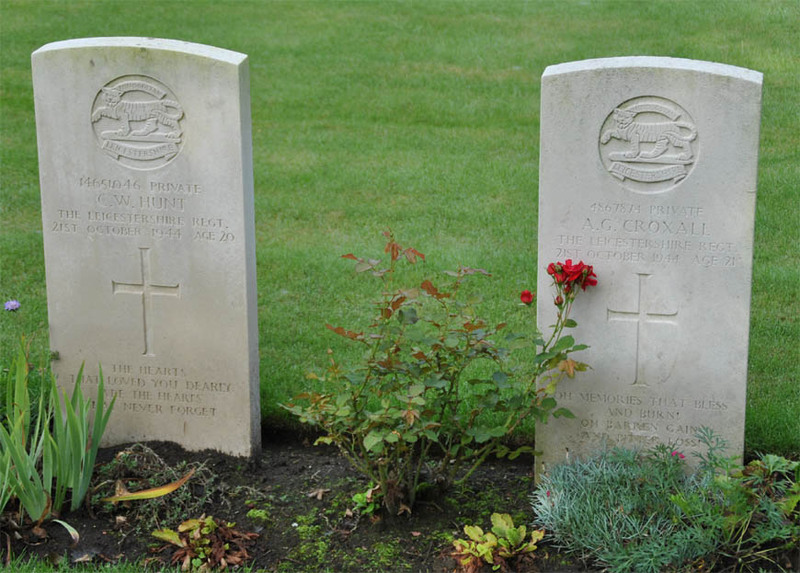 Two of the many war graves at the Geel War Cemetery. 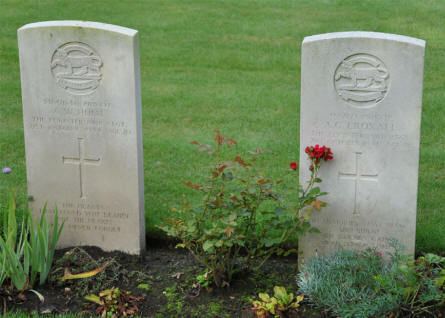 These two soldiers were killed in October 1944. 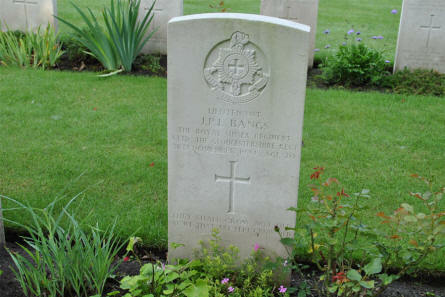 The grave of Lieutenant J. P. L. Bangs (killed in November 1944) at the Geel War Cemetery. 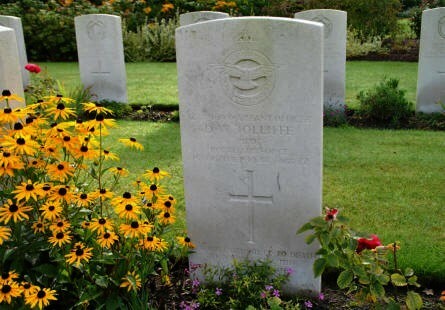 The grave of Pilot D. W. Jolliffe (killed in October 1944) at the Geel War Cemetery. 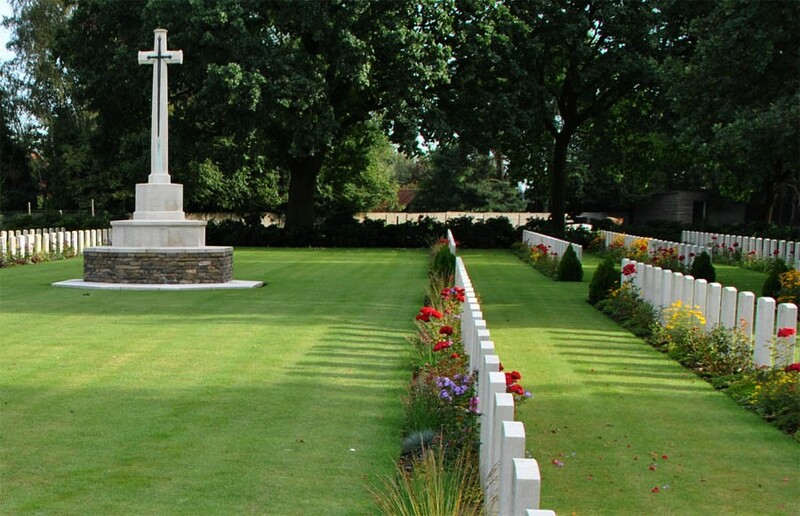 The cross at the Geel War Cemetery.